Many individuals take Uber and Lyft without even thinking about it. They wait for the rides, fiddle with their phones or read during the trips, and go about their business when they’re done. They rely on the drivers to keep them safe, but many times, the drivers are paying attention to the GPS systems and navigating the apps to pick up other passengers. With the rise of Uber and Lyft vehicles, there is also a rise in accidents. Too often, rideshare drivers will speed and drive recklessly to try and finish fares as quickly as possible to maximize profits, placing many individuals in danger – including those in the car and those immediately nearby. As such, the rate of injuries has increased as well – everything from minor concussions and sprains to severe damages like internal organ injuries and paralysis. It’s important that you understand more of the inner workings of Uber and Lyft, and especially important that you are adequately prepared in the event of an accident. “The preparation can help keep you safe and protected,” according to Myrtle Beach work injury attorneys. Uber and Lyft’s policies as rideshare companies follow a specific format. In everyday life, drivers generally have their own personal auto insurance coverage that protects them in case of accidents. Those who drive commercially will often have insurance covered by their jobs, as personal policies do not protect commercial driving. Uber and Lyft have insurance for their drivers. The insurance policies for Uber and Lyft are active in three stages. In the first stage, the driver or employee is not actively using the app or working, so his personal auto insurance would cover any damages or incidents. The second stage begins when the driver has turned the app on and is waiting to confirm a ride. During this time, the driver is covered for up to $50,000 in liability for bodily harm, $100,000 per accident, and $25,000 for property damage. This policy is active until the driver accepts a ride. Once a ride has been accepted and the driver is en route to the customer, the policy changes to the third stage with $1,000,000 for liability damages. It also includes $1,000,000 for underinsured/uninsured motorist coverage, which will protect drivers in the case of hit-and-run accidents or when the party does not have enough resources to pay for the damages. This coverage will also extend to any customers who enter the Uber or Lyft vehicle, and will last until the passengers are dropped off. The policy will then revert to stage 2. If you have been involved in an Uber or Lyft accident, it is crucial that you follow these steps to ensure that you are safe after the incident. You can also gather ample evidence during this time to ensure that you have enough proof of negligence if you wish to file a lawsuit against the responsible party. Your health is the most important focus after an Uber or Lyft accident. Any car accident can result in you suffering extensive injuries and damages, and it is crucial that you get treatment from the paramedics or that you go to the emergency room or hospital if you have been severely hurt. Many times, though, individuals will forgo treatment. This is not recommended for a few reasons. For one, it is possible that your adrenaline is merely masking the damages and preventing you from feeling the pain, but once you come down and return to normal, the injuries could flare up. The damages may also not show up immediately to the naked eye but could be detected by a doctor who knows what to examine. It is much better to be safe than sorry when it comes to your health. Further, if you do not get medical treatment quickly after the incident, you could be setting yourself up for problems later down the line if you choose to pursue legal action. Many insurance agents will be dubious of your claim if you were involved in an accident and then waited a few weeks to see a doctor. They can claim that you were likely hurt elsewhere and you simply want to use the accident as a conduit for your expenses. Therefore, the sooner you get proof of medical help, the more airtight your claim will be. You need to take as many photographs as you can after an Uber or Lyft accident. You can use these pictures and videos as primary evidence for your claim; it will prevent the insurance agent and other party from denying the extent of your damages. You should to photograph your injuries and how hurt you were, for everything from bruising to broken bones. You may have a camera phone to document the injuries or you may ask paramedics and nurses to take the photos for you. If you are severely hurt, though, there may not be any time to snap such pictures. Fortunately, there will likely be ample medical reports and notes to back up the details about your physical injuries. You can take pictures of the damage to the Uber or Lyft vehicle and the other car. This is an important detail that many people miss, as the angle of impact and degree of damage can provide proof in some instances. For example, if you were rear ended while in an Uber or Lyft, the rear of the car would be damaged, while the responsible party’s hood and grill would likely be damaged as well. If the party claimed that they only sideswiped the car, photographic evidence can be used against them. It is also recommended that you take pictures of the scene of the accident and surrounding area. If there were a distinct lack of street lights, it could have been difficult for everyone to see; the same goes for hills that block views and any defects with the road like potholes and debris. You may find it worthwhile to record videos as well to show any malfunctions or angles that photos do not capture. After getting in the accident with an Uber or Lyft vehicle, it is important that you take down all the necessary contact information from the responsible party. You should write down their name, phone number, and insurance provider. This will allow you to submit your claim to the correct agent for consideration. Uber and Lyft’s insurance will likely be used in some cases, specifically those involving accidents directly caused by their employees. If you do not have the ability to write down any information or if the driver flees, you will have to submit a claim through underinsured/uninsured motorist coverage. There were very likely eyewitnesses and bystanders at the scene of the accident. There may even have been other passengers involved. You can request these individuals to give you statements and testimonies about what they saw happen. It is important that you get this information in writing soon after the crash, as memories tend to fade over time and become less vivid or certain. 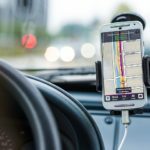 Often, it is difficult for Uber and Lyft claims to get resolved if there are merely two parties involved in a he-said-she-said type of case. With numerous witness statements available, cases can be resolved much faster and with greater efficiency and accuracy. Whether you were in an Uber or Lyft vehicle as a passenger or driver, you should take a screenshot of the ride confirmation, receipt or proof of purchase, driver or passenger details, and more. Essentially, you will want to prove that you were actually in the car at the time of the accident and that you had paid for your ride. If you were not a customer, it could be slightly more troublesome with respect to your lawsuit. These screenshots can then be uploaded, printed, and used as evidence in a lawsuit. There is an option to report a crash through your Uber or Lyft app. You can submit all pertinent information to a representative to make the company aware of the incident. As long as the company knows that an accident happened, you will have a better chance when you submit an insurance claim or file a lawsuit. It will be harder for the company to deny your claim if you have outright proof that you submitted an incident report and received a receipt. Uber and Lyft crashes that result in physical injuries will usually warrant a police investigation at the scene of the accident. This will involve the police interviewing witnesses, making diagrams of what happened, writing tickets, and more. They can also have access to any surveillance footage and cameras at stop lights to provide proof. You can request a police report from the police station once it has been submitted and finalized. This will function as additional evidence with a claim. It is always beneficial to get as much proof as you can, even though police reports are inadmissible in court. They are good leverage in pursuing settlements. After you were hurt in an Uber or Lyft accident, you may wish to file a personal injury lawsuit against the responsible party to collect compensation for your damages. It is important that you understand that you do not have an unlimited time to take legal action. In California, like in most states, you only have 2 years from the date of the injury to file a lawsuit against the liable entity. If you wait too long, you will be barred from taking action and will not be able to receive legal financial compensation. All too often, individuals do not pay attention to these dates and wind up missing the opportunity to sue. My name is Farid Yaghoubtil, and I have been practicing law for nearly ten years. I have seen the rise of Uber and Lyft firsthand and I’ve been handling lawsuits against the companies since their inceptions. My background in civil law and extensive practice of auto accident cases has given me a unique perspective and ability to handle these types of lawsuits. I constantly pay attention to developments in the legal realm regarding rideshare changes and regulations, and the large boom in alternative transportation has also increased the amount of lawsuits I litigate.